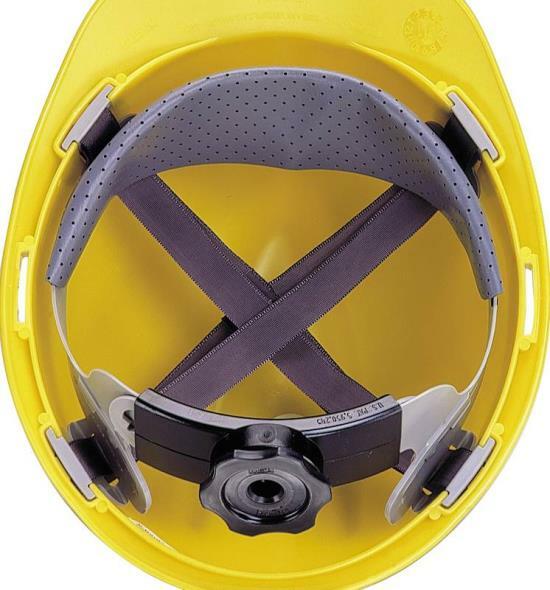 Fibre-Metal Roughneck caps with the SuperEight� suspension are the industry standard for heavy duty protection. 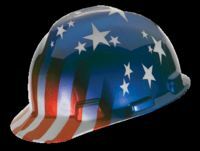 Built for strength, toughness and durability, the Roughneck P2 series of injection-molded fiberglass caps have earned a solid reputation on construction sites, in steel plants, foundries, forges, fabrication shops, chemical plants and other extreme jobsite environments. 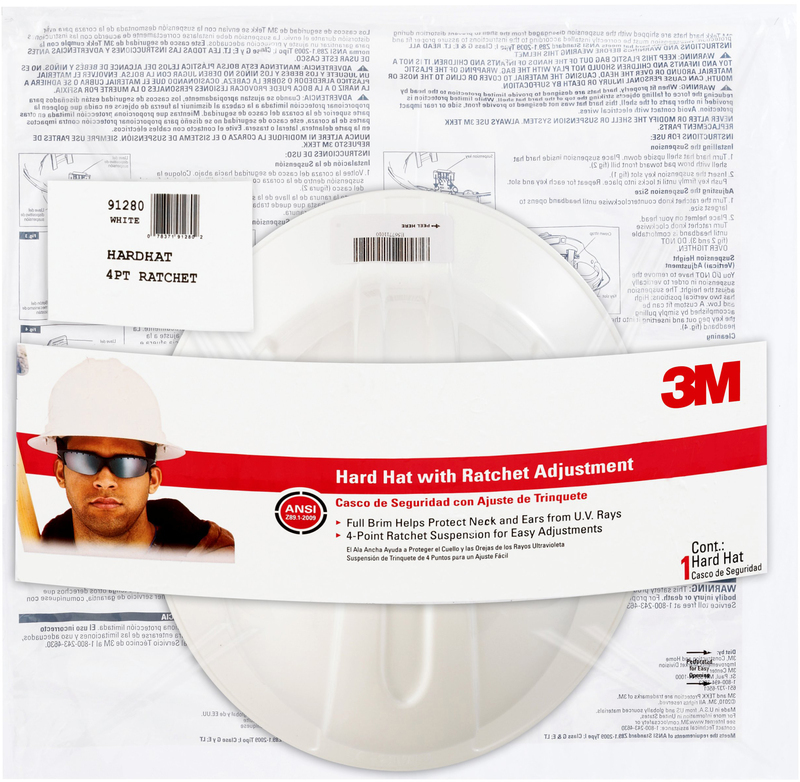 Available in two versions to meet a variety of workplace conditions, Roughneck caps are built to provide exceptional crack resistance and handle hard knocks in the toughest places � without developing the nicks and cracks seen in other fiberglass caps. The P2A series tolerates heat up to 370� while delivering a long service life under many adverse conditions. Proprietary injection-molded fiberglass compound offers exceptional impact and crack resistance and is eight times stronger than common high density polyethylene (HDPE) cap shells. Solid color resin provides a permanent, no-chip, no-peel finish. Available in nine popular colors. Smooth, matte finish makes logo imprints crisper and cleaner, so your official company caps look better and last longer. The technically-advanced SuperEight suspension balances and spreads weight over a wide area for added comfort and impact protection. 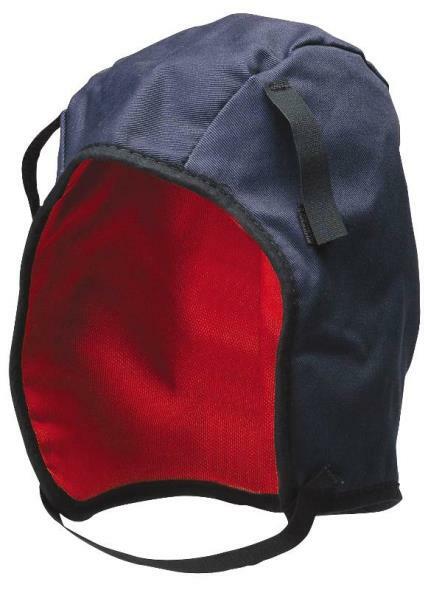 Available with the famous Fibre-Metal non-slip/non-strip ratchet, SwingStrap� or TabLok� headgear. 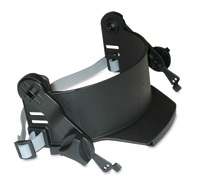 Ready to use with the industry's most versatile Quick-Lok� or Speedy� Loop helmet attachment system for faceshields and welding helmets. 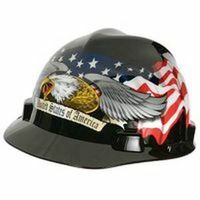 For added assurance of performance, all Roughneck caps are factory-assembled and SEI third-party certified to meet ANSI Z89.1-2009 Type I Class G (including Quick-Lok� model) and CSA Z94.1-2005 Type I Class G or C (Class C for Quick-Lok� model) in both forward and reverse. Heavy-duty caps and hats, for use in heavy industries, steel mills, and elevated temperatures. Agriculture Asbestos Abatement Chemical Construction Electric Utility Hazardous Materials Mining Nuclear Oil & Gas Paper & Pulp Sand Blasting Sanding & Grinding Water/Wastewater Welding Meet or exceed the applicable requirements for a type I helmet. 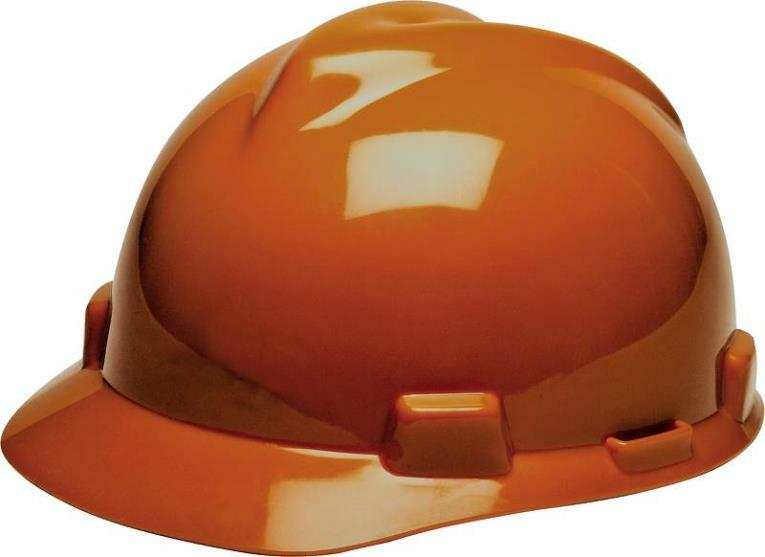 Meets or exceeds the applicable requirements for a Type I helmet (top impact) as outlined in ANSI Z89.1-2003, Class G (electrical, low voltage) This item cannot be shipped to APO/FPO addresses. 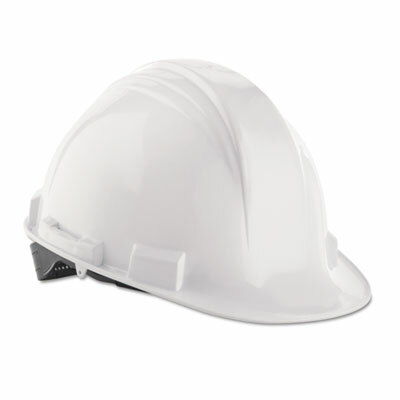 Premium hard hat provides comfortable protection. Polyethylene shell with ratchet suspension ensures excellent shock absorption while keeping weight down. Self-adjusting crown straps simplify sizing. Slotted. 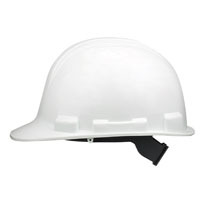 Style: Cap; Material(s): Polyethylene; Adjusting Method: Staz-On Suspension; Weight: 0.9 lb. 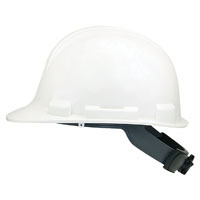 Hard Hat Adapter For Use With Bionic� Shield This item cannot be shipped to APO/FPO addresses. Heavy-duty caps and hats, for use in heavy industries, steel mills, and elevated temperatures. Agriculture Asbestos Abatement Chemical Construction Electric Utility Hazardous Materials Mining Nuclear Oil & Gas Paper & Pulp Sand Blasting Sanding & Grinding Water/Wastewater Welding Meets or exceeds the applicable requirements for a Type I helmet (top impact) as outlined in ANSI Z89.1-2003, Class G (electrical, low voltage) This item cannot be shipped to APO/FPO addresses. Fibre-Metal's sophisticated SUPEREIGHT Impact Energy Control System raises protective performance to a new level. On impact, the smooth shell flexes, absorbing and dissipating some impact energy. SEI certified to meet ANSI Z89.1-2003 Type 1, Class E, G or C This item cannot be shipped to APO/FPO addresses. This assembly can be used on 3M� Belt-Mounted Powered Air Purifying Respirators (PAPR)s and Supplied Air Respirator Systems. This hood offers exceptional comfort and can be worn with facial hair and glasses. 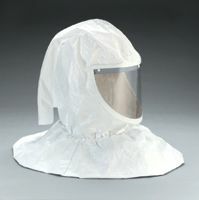 Made of Tychem� QC Fabric Wideview, polyester face shield provides greater resistance to solvents High levels of air flow for maximum comfort Spray Painting Pharmaceutical Pesticides Coating operations Gel coating Fiberglass manufacturing General maintenance Accomodates facial hair and safety glasses Available with hardhat and choice of inner shroud or collar 2 Hoods H-410 2 Faceshield Covers H-110 Hatshell W-3258 Suspension W-2878 Chin Strap H-114 Squeeze Clamp W-3222 This item cannot be shipped to APO/FPO addresses. 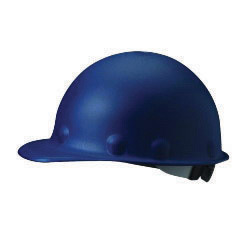 Hard Hat Blue - This Ratchet Hard Hat provides comfort and safety. 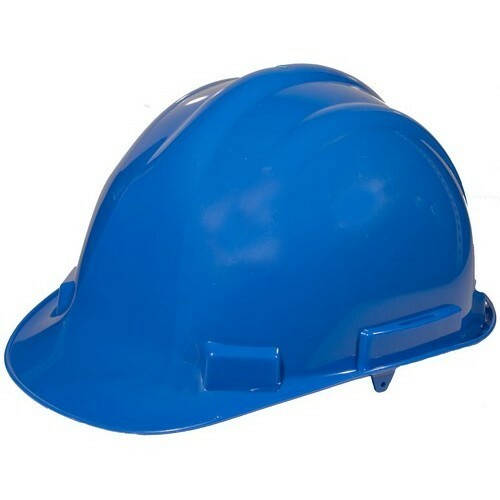 Description: Blue Hard Hat This item does not ship to APO/FPO addresses. Glazed Porcelain. Adjustable Speed Pump Powered by electricity. 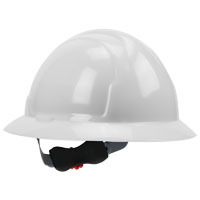 3M� Hard Hat H-700 Series with 4-Point Ratchet Suspension and UVicator� Sensor is comfortable, tough and lightweight protective headgear that helps protect the top of the head due to the potential hazard of small falling objects or exposed fixed objects that may be bumped into. 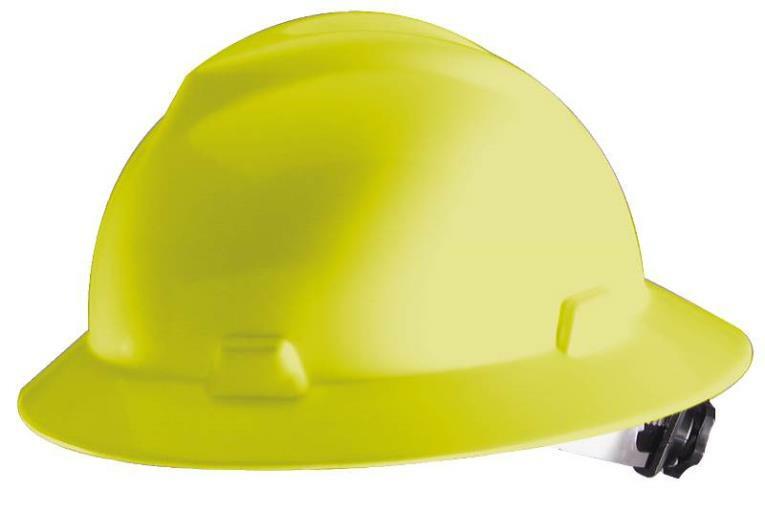 The UVicator sensor changes color as the hard hat is exposed to UV light. The sun's UV rays can cause a hard hat shell to become brittle and compromise its ability to protect the wearer. 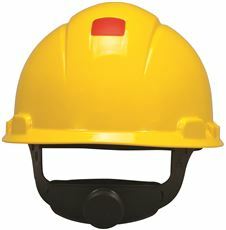 With the UVicator sensor, the hard hat should be replaced when the sun-smart sensor changes from red to white. 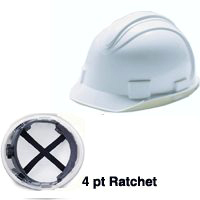 A 4-point ratchet suspension adjusts easily to allow for a customized height and fit that best suits the individual who wears the hard hat. 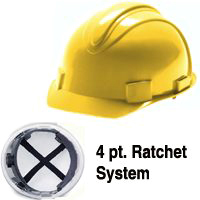 The ratchet system allows tightening or loosening the fit without taking the hard hat off.^Workers wearing this hard hat will also appreciate its low profile design and balanced fit, which provide for a more comfortable and less obtrusive feel. 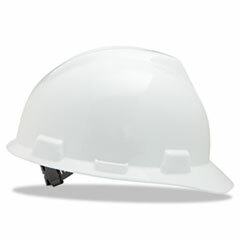 A short brim allows for upward visibility, a feature that can enhance both safety and productivity. The soft brow pad cushions the forehead and is removable for easy replacement. 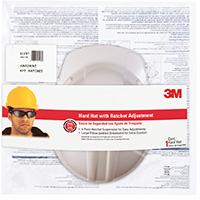 For added versatility, the hard hat features accessory slots to accommodate 3M's cap mounted ear-muffs, headgear, faceshields, and welding helmets (all sold separately). 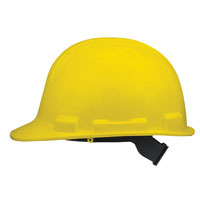 Yellow, 20/case.^^Features and Benefits:|This hard hat meets requirements of ANSI/ISEA Z89.1-2009 Type 1, Class C, G and E. The hat may be worn in either the forward or reverse donning position. Hat weighs 12.8 ounces. |4-point ratchet suspension allows wearer to customize height and fit |Meets requirements of ANSI/ISEA Z89.1-2009 Type 1, Class C, G and E |Smooth, easy turning ratchet suspension |UVicator sensor shows when it's time to replace hard hat due to UV exposure |ANSI/ISEA compliant when worn in the forward and reverse donning positions |Short brim enhances upward visibility |Suspension sits lower on head to reduce pressure and increase security. Versatile and dependable design, with grooved HDPE out shell, rain trough and accessory slots. Pin lock adjustment is a sturdy, easy to use 4 point pin lock headband. 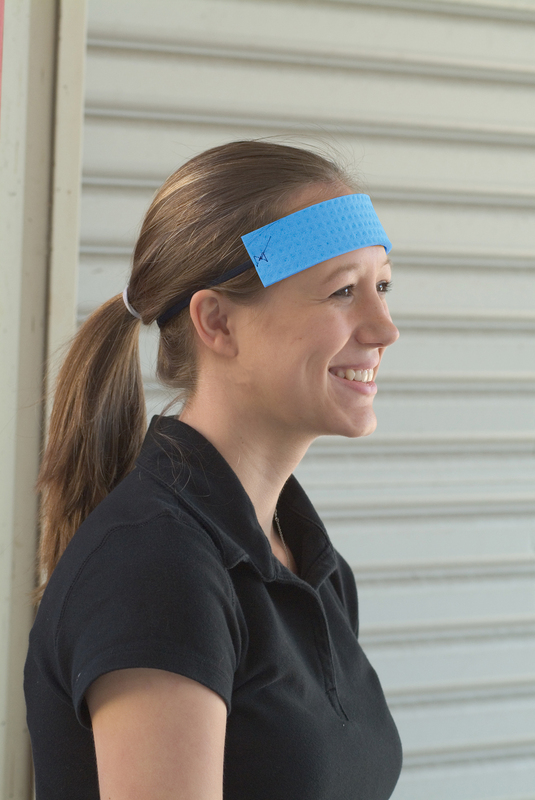 Ratchet adjustment headband offers a firmer and more comfortable fit. All suspension choices feature 3-level height adjustment. Style: Slotted Front-Bill Cap; Material(s): High-Density Polyethylene; Adjusting Method: Pin-Lock; Suspension: 4-Point Pin-Lock.